AmaWaterways will add a new ship to its European fleet on July 1, 2020: AmaSiena. The 156-guest ship will sail a variety of seven, 10 and 11-night itineraries, visiting iconic cities, historical villages and spectacular vineyard regions along the Rhine, Main, Moselle and Danube rivers. Like her award-winning sister ships, AmaMora (2019), AmaLea (2018) and AmaKristina (2017), AmaSiena will feature connecting staterooms, generous personal space, luxury amenities and a variety of dining choices such as AmaWaterways' signature regionally-inspired cuisine in the Main Restaurant and the wine paired tasting menu in The Chef’s Table Restaurant. 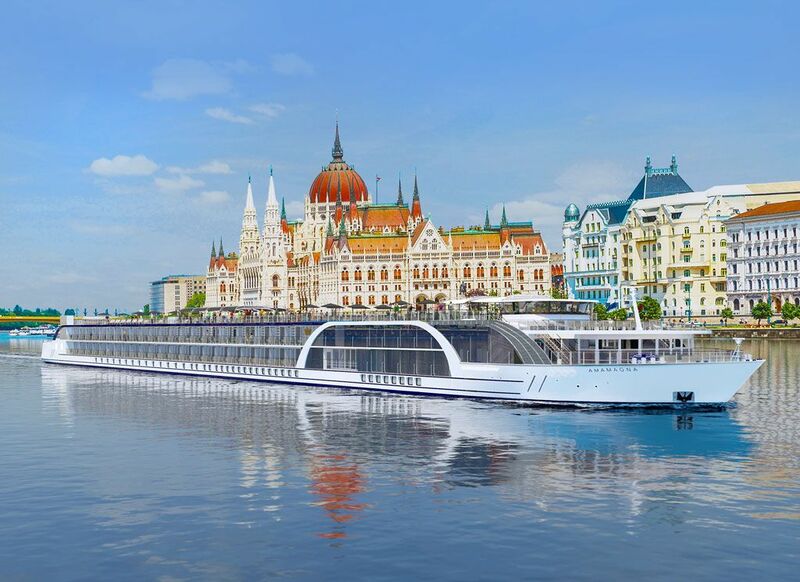 "The popularity of river cruising continues to rise, and with the introduction of AmaSiena, we're happy to be bringing more of our brand of personalized, luxury river cruising to our guests," said Rudi Schreiner, president and co-founder of AmaWaterways. "When she debuts in 2020, AmaSiena will feature the exceptional cuisine, variety of active shore excursions, world-class service and of course, some innovative touches that travelers have come to expect each time we introduce a new ship to our fleet." AmaSiena will feature 78 staterooms, the majority with AmaWaterways' exclusive twin balconies – offering panoramic views from both a French and outside balcony. She also has four suites (350 sq. ft.), six pairs of connecting staterooms and 12 triple occupancy staterooms designed for multi-generational families. Additional amenities include a heated Sun Deck swimming pool with a swim-up bar, invigorating classes led by a trained Wellness Host, a fitness room, a fleet of bicycles and massage and beauty salon services. Guests also can enjoy complimentary Entertainment-On-Demand, high-speed Wi-Fi, and "Sip & Sail" happy hour. "We are excited to have a beautiful new ship like AmaSiena with many cruises through one of my personal favorite areas along the Moselle river," said Kristin Karst, the company's executive vice president and co-founder. "AmaSiena will offer the perfect combination that our guests' treasure – incredible food and wine served up alongside thoughtful tours and active adventures delivered in a relaxed family-like setting. We like to think of it as healthy indulgence delivered with a genuine smile allowing travelers of all ages to create long-lasting vacation memories."